Pier Giorgio Frassati lived only twenty-four short years, but he lived them to the fullest. His student escapades, prankster antics, athletic achievements, social justice activism, and dedication to helping the poor combine to make this amazing young man an avalanche of life. 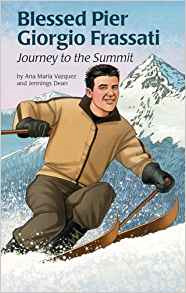 Kids will be able to relate to this adventurous young adult, and learn one of his life principles: Life must be lived well, following true and sound principles. Its never enough to simply get along.